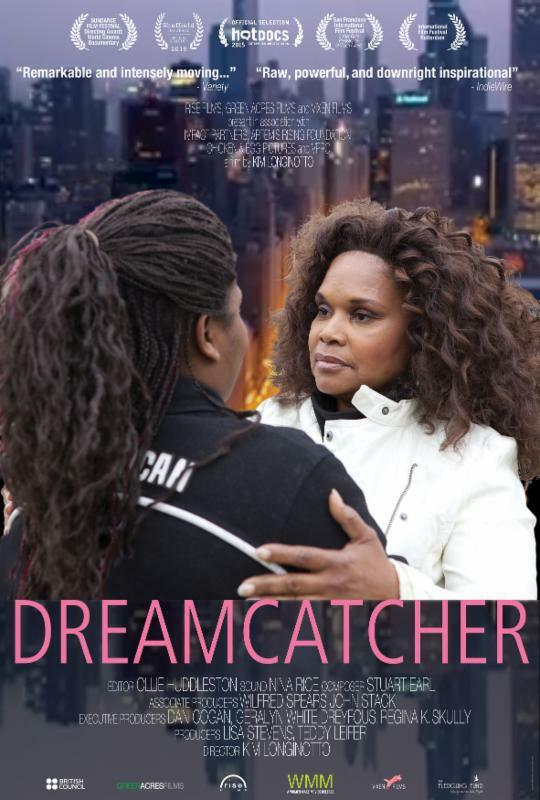 Women in the Arts and Media Coalition: Sundance winner DREAMCATCHER Now Available! "DREAMCATCHER masterfully examines the intersections between sexism, racism, and classism, and how these injustices perpetuate the cycle of abuse that leads to violence against women ...heart-wrenching and compelling." Sundance award winner DREAMCATCHER is an exploration into the cycle of neglect, violence and exploitation which each year pushes thousands of girls and women into prostitution and the individuals who strive to help them. DREAMCATCHER takes us into a hidden world of prostitution and sexual trafficking through the eyes of one of its survivors, Brenda Myers-Powell. A former teenage prostitute with a drug habit, Brenda defied the odds to become a powerful advocate for change in her community, and works to help women and young girls break the cycle of sexual abuse and exploitation. The film lays bare the hidden violence that devastates the lives of these young women, their families and the communities where they live in Chicago. With unprecedented access, multi-award winning director, Kim Longinotto (SISTERS IN LAW, ROUGH AUNTIES, SALMA) paints a vivid portrait of a community struggling to come to terms with some of its most painful truths and of the extraordinary woman who uses her past to inspire others to survive. Essential viewing for public health, sociology, and courses dealing with issues around the cycle of poverty and violence against women. Get any film for 50% off! Here are some highlights from Longinotto's career. To see the full collection, see our website. *Use code DCATCHE15 at checkout to apply your discount. Applies to institutional orders only. Cannot be combined with any other offer. Other exceptions may apply. Offer expires December 30, 2015.